The line of participants beginning the walk through downtown Frederick. 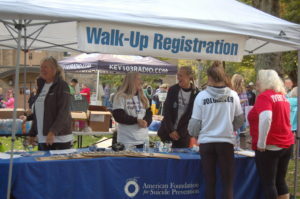 How a walk in the park can raise awareness for suicide prevention. 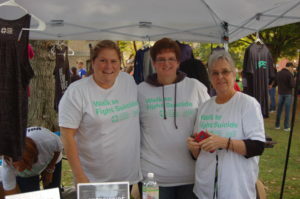 Out of the Darkness: Walk for Suicide Prevention was an event to raise funds and awareness for The American Foundation of Suicide Prevention (AFSP). Over 1,000 people attended, including parents, children, and furry friends. The large groups stopped traffic as they walked through downtown Frederick on October 20th in solidarity of mental health. 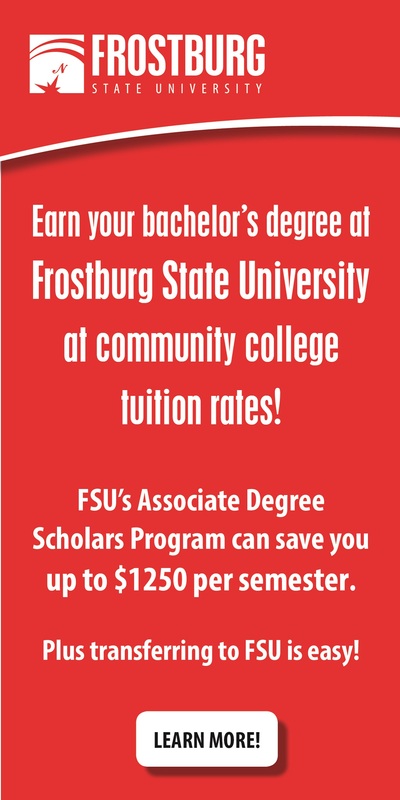 Frederick Community College has helped sponsor the event for a few years and Jeanni Winston-Muir, executive director of student engagement and learning support, has attended every time. Mary Beth Liller, Program Associate for the Institute for Learning in Retirement at FCC, attended the event and worked in the merchandise booth with a few other FCC staff members. Suicide has personally affected Liller’s life in the form of friends and her eight year old nephew, who struggles with mental illness and suicide even at a young age. Liller’s role as a mother, particularly, makes the issue extremely important in her mind. Suicide proves to be an extremely important issue when looking at statistics. According to the Centers for Disease Control and Prevention Leading Causes of Death Reports in 2016, suicide was the tenth overall leading cause of death in the U.S. and claimed the lives of almost 45,000 people and the second leading cause of death in individuals from the ages of 15-24. Out of the Darkness is conducted in many different states throughout the country and works to decrease these numbers, as well as provide support for survivors of suicide loss, promote public policy, and raise money for new research on mental illnesses. A large reason that many people do not receive the help they need when battling a mental illness is because they are afraid of the stigmas attached to the topic. The media tends to portray mental illnesses inaccurately, which can have negative effects on people who are struggling, as well as how society views them, Bowers added. Mentally ill characters are rarely the main protagonists in movies or TV shows, and, when they occasionally are, they are portrayed as dysfunctional in daily life or with wild extremities. These stigmas tend to put off people who are struggling, as they fear the judgement and repercussions of their peers when being associated with the subject. Despite the event only happening once a year, FCC and its faculty members actively work to provide endless support to students who need it. Majority of staff member on campus are willing to listen and help if a student is struggling, and encourage anyone who needs someone to talk with to swallow their fears and reach out. 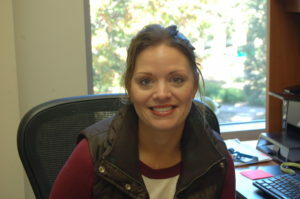 “So many people battle with mental health issues and because suicide affects so many people, not just those who have committed suicide, it is essential we have adequate and reliable information, resources, education, and advocates who can offer hope to those who are struggling,” Winston-Muir said.